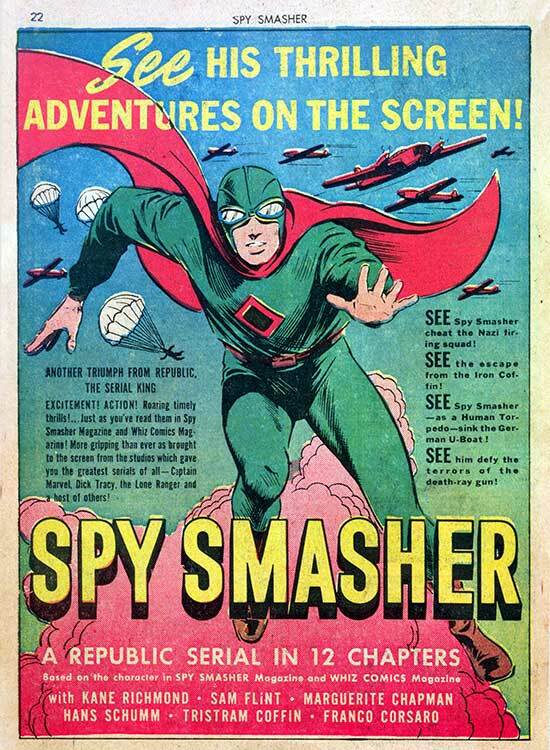 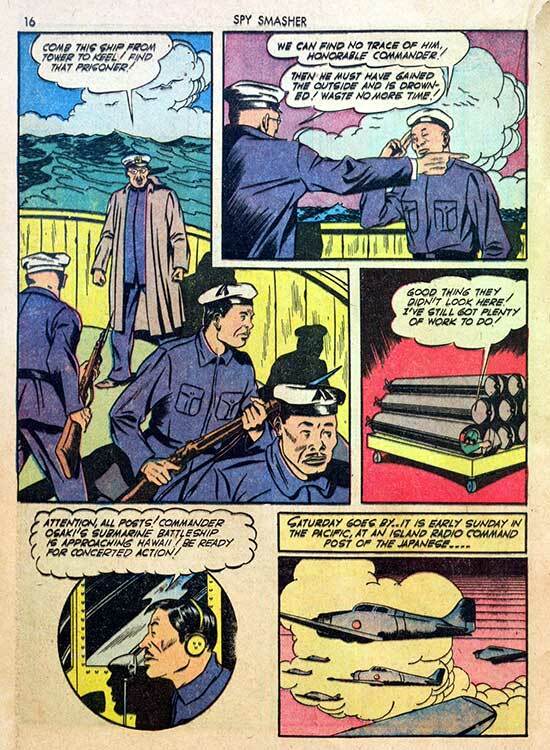 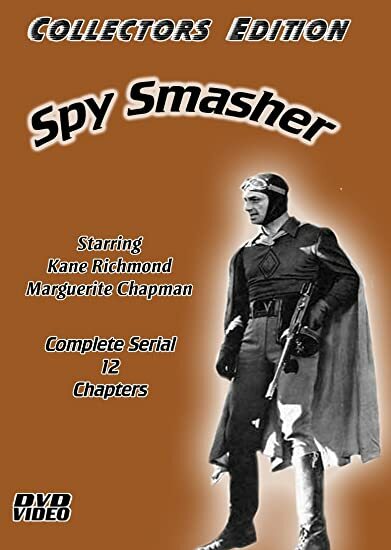 Hero Histories: SPY SMASHER "Crime of Pearl Harbor"
...on December 6th, 1941, Spy Smasher discovered a huge Japanese submarine in the waters just outside Pearl Harbor. 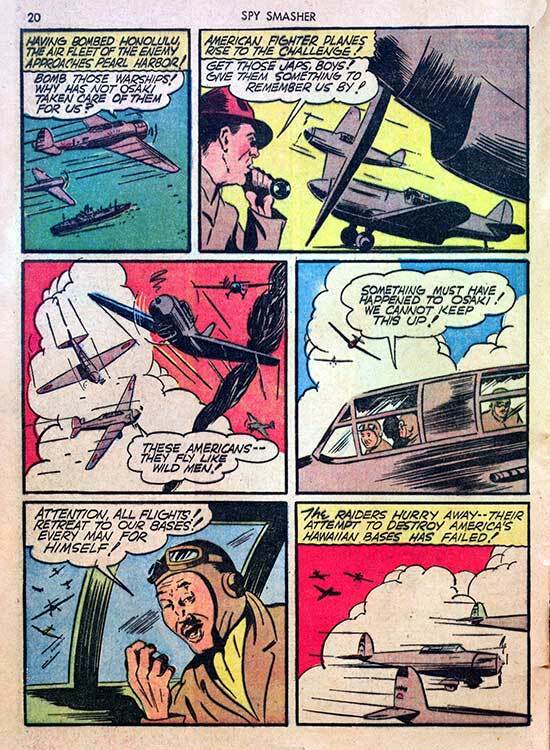 Those last two pages were a serious attempt at propaganda/revisionist history to an impressionable young audience! 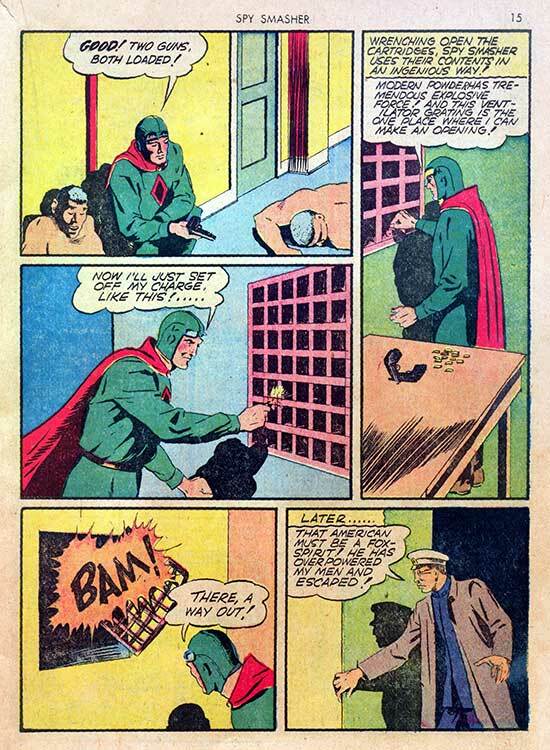 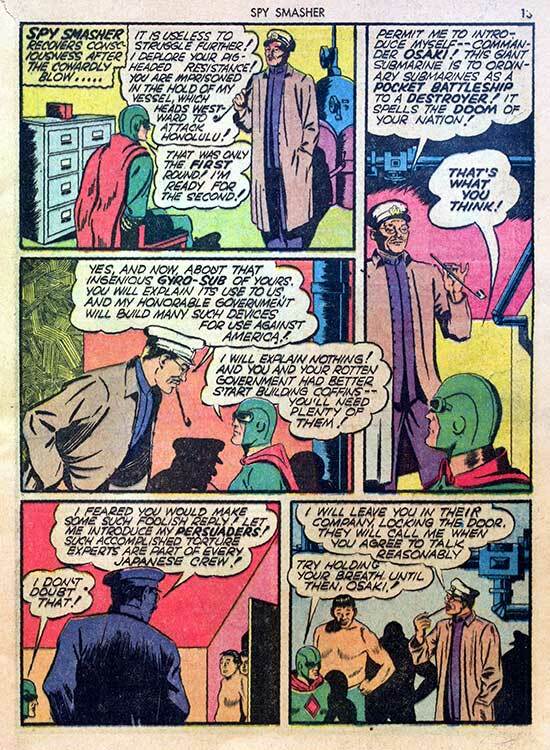 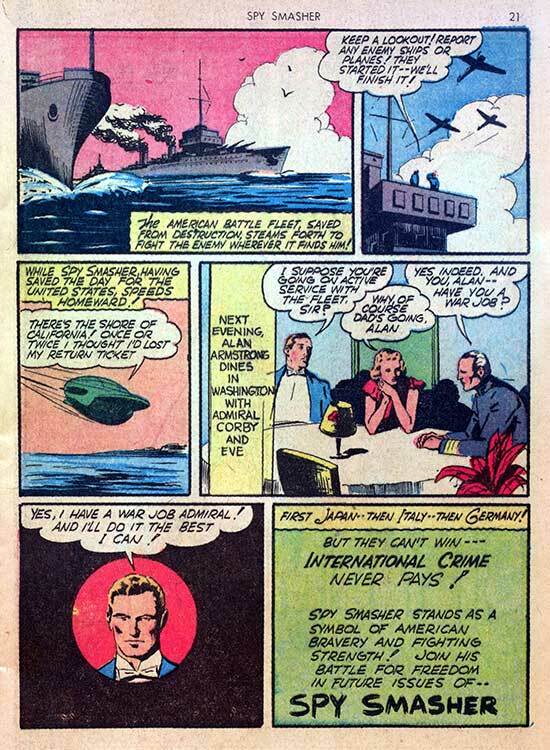 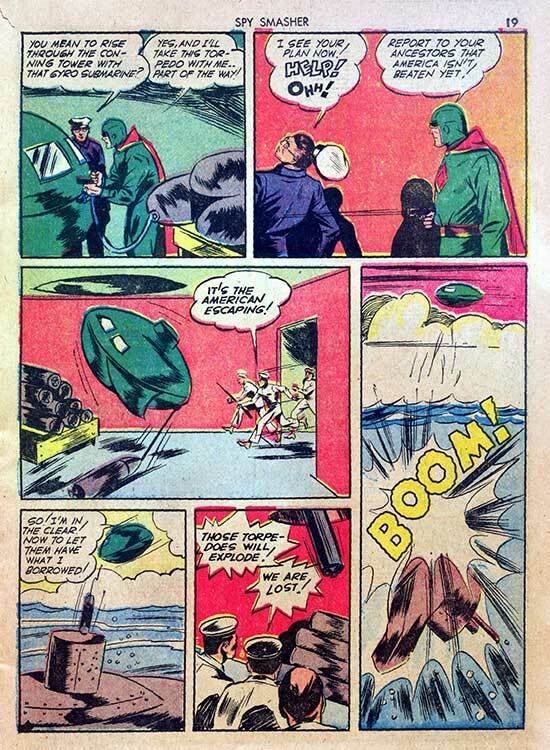 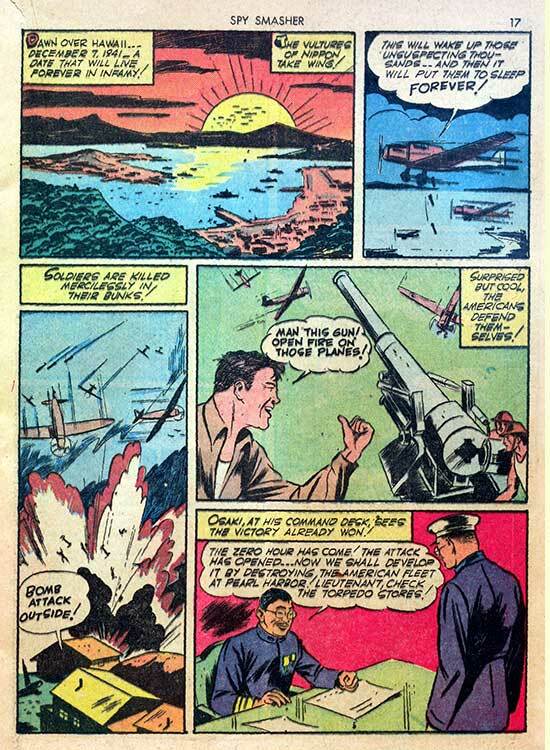 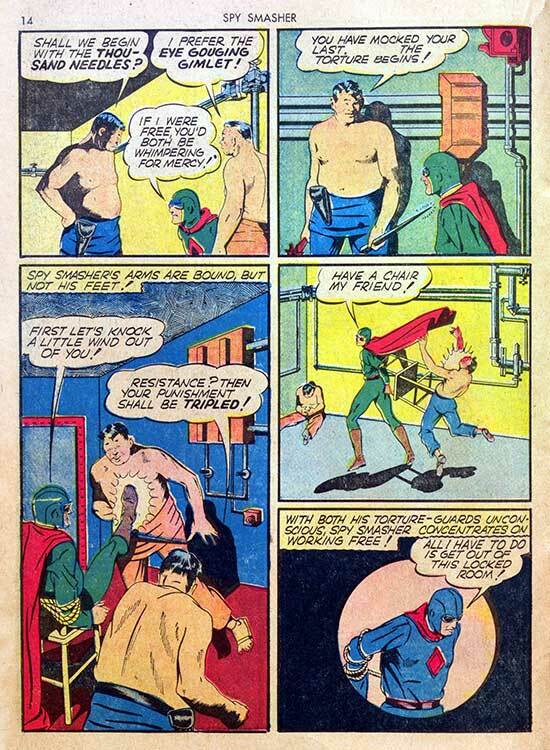 Published in early 1942, this never-reprinted tale from Fawcett's Spy Smasher #4 was created just after the events of Pearl Harbor on December 7, 1941, so the overt racism is somewhat understandable.